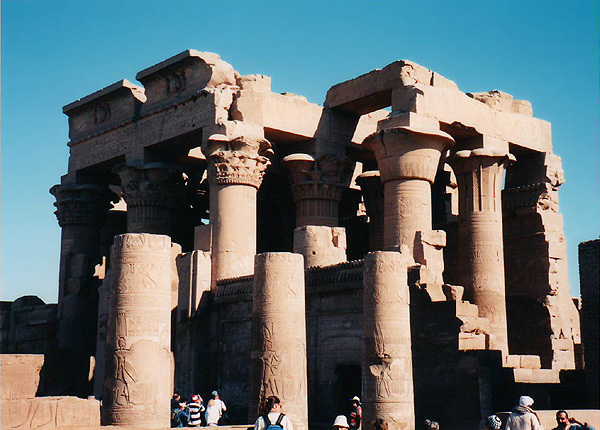 Situated on a bend of the Nile between Edfu and Lake Nasser (map), Kom Ombo dates from the time of Ptolemy VI through the early Roman period. This is a view of the outer hypostyle hall from the front (southwest corner) of the temple. A variety of capitals, typical of the Ptolemaic period, can be seen. The truncated columns, foreground, belong to the entrance courtyard in front of the hall. 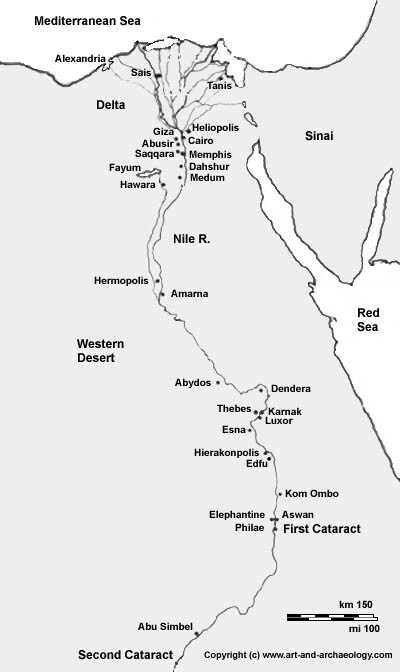 The temple faces west towards the Nile. It is divided in two by its long (east-west) axis. The north half belongs to the crocodile god Sobek, and the south half to Horus.